One of the reasons that we talk about trying to plan ahead for pregnancy is to try to avoid accidental exposures to things like alcohol in early pregnancy. An accidental exposure is most likely to happen before you even take a pregnancy test. In fact, many mothers aren't able to even think about the drinking until after they've had a pregnancy test turn positive and there is nothing that they can do about it. 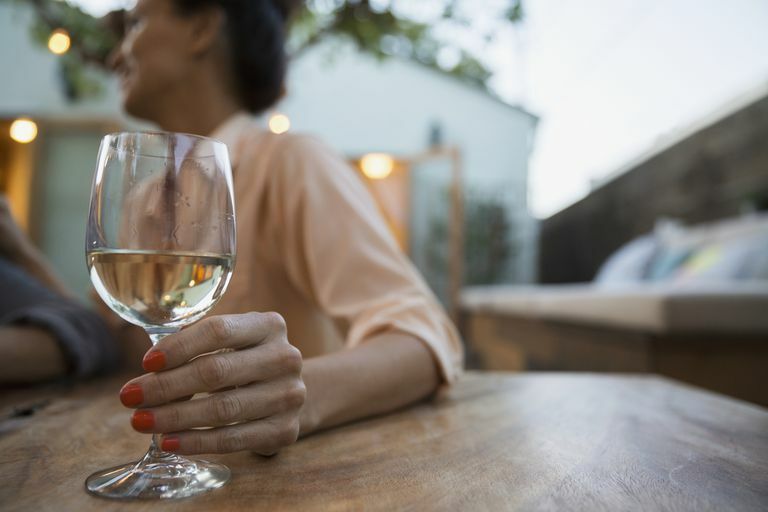 Many women are frightened to talk to their doctors or midwives about the fact that they were drinking prior to pregnancy. But it is always wise to have a good conversation with them so that they can help you understand what the risks are of the exposure. Sometimes it happens that you find out you're pregnant and realize that you were drinking in early pregnancy without knowing it. The quantity consumed and the duration of that consumption are the most vital factors in determining risk. Dr. Meredith Shur explains, "No one would consider one glass of wine in early pregnancy a significant risk." The first trimester is a very active trimester in terms of what's happening with the baby. Every major body structure is formed in these first weeks of pregnancy. This is why some practitioners have said that the risks are either catastrophic, like a miscarriage, or it does not affect the pregnancy. We usually just have to say that we'll wait and see what happens to the baby because of this incident. However, we do know that it's amount timing and how often the pregnancy is exposed to alcohol. So I was surprised to see that some scientists have some preliminary data that may help women in this situation, zinc. They injected pregnant mice at the equivalent of a human's week 3-8 gestation with alcohol. They fed them a normal diet or a zinc enhanced diet. The ones who had zinc had much better outcomes in terms of lowered birth defects. They don't think this means women should drink and simply take zinc in pregnancy nor do they think you should have alcohol manufacturers having products with zinc. I did have a really odd image of a new beer commercial showing a very pregnant woman knocking back a beer and slogan about drinking your prenatal vitamin. Thankfully that isn't what they are talking about. But hopefully, future research will be able to help the moms who have that accidental exposure to alcohol early in pregnancy. The best advice is still to plan your pregnancies. Avoid alcohol when you're trying to conceive. Even if you simply avoid it after ovulation. This can help you relax and not worry about any mishaps. When in doubt, talk to your provider. There is currently no testing that can really be done in pregnancy to test for minor complications from exposure to alcohol. Though major malformations would show up in ultrasound testing. Talk to your provider about what you can do to help reassure yourself through the remainder of the pregnancy. Dietary Zinc Supplementation Throughout Pregnancy Protects Against Fetal Dysmorphology and Improves Postnatal Survival After Prenatal Ethanol Exposure in Mice. Summers BL, Rofe AM, Coyle P. Alcohol Clin Exp Res. 2009 Jan 12.